An addiction treatment EMR built with guidance from several treatment centers. The only Addiction EMR that mirrors your process for better outcomes. HIPAA compliant with a multitude of audit features to ensure compliance. Supports Inpatient, Out Patient, PHP, IOP and Detox treatment centers. Our cloud-based system is the only behavioral healthcare system that can integrate with a large number of products. The form fields can be modified or you can add new fields without any support or understanding of complex steps. Audit history for every change done within the system is available to support regulatory needs. The application provides two-factor authentication for login and you can track and audit who logged in to the system and when. It comes preloaded with all essential forms needed at a treatment center. The forms can be signed electronically. The application also has an approval process that can ensure proper process and procedures are followed in the patient care. The worlds first flexible and highly secure behavioral health application. The application can change with change in the process or regulatory requirements. All necessary forms needed at a treatment center are automatically generated from the data collected. There are forms for intake, admission, treatment plan, insurance, financial forms and discharge planning. No technical skill required to modify or customize any of the screens. New screens with additional fields can be added to the flow any time a change happens in the treatment process. HIPAA compliant system. Audit report and Two Factor Authentication are some of the security features that are prebuilt within the system. If the treatment center is still on paper or non secure systems it's time to change. No worries. We will migrate you over to our secure platform for FREE*. Your data is yours and should be available to you anytime. * Some restrictions apply. Call to know more details. We do not have multiple plans. We believe you need all the tools to succeed. We wish to be part of your success in the patient care and treatment. We know it's not easy but we hope that our product would help you succeed in patient care and treatment. All the features that you need to succeed. Preloaded forms that generate data specifically for you. The complete EHR with paths to show outcomes and success. No limit on reports and easily accessible features. Fully functional mobile view. 5 free licenses. Everything in Professional Plan. We understand that sometimes you simply need an IT Team. We can be that extension to your organizaton. We will help you setup your environment and guide you in enabling a full IT team at fraction of the cost. 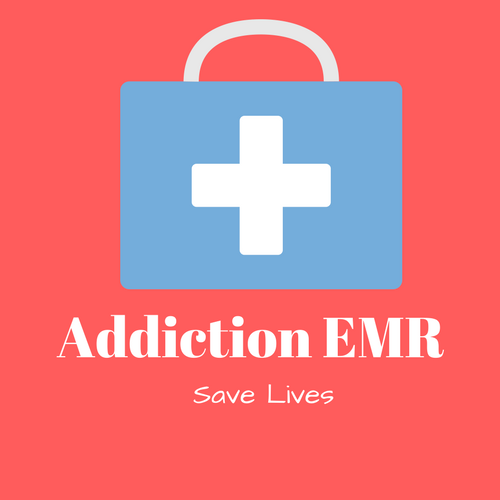 Addiction treatment EMR created with input from multiple treatment centers. Flexible with changing patient care and is HIPAA compliant with a multitude of audit features.